An MP who was accused of "nimbyism" has paid a visit to the farmer whose fracking case he recently raised during Prime Minister's Questions. The Labour MP for Weaver Vale, Mike Amesbury, pressed Theresa May in the Commons over the case of farmer Alison Davies’s Happy Beef farm in Kingsley near Frodsham, Cheshire. Ms Davies told the MP she was approached by staff by fracking company INOES who wanted to conduct a geological survey on her land. But Mr Ambesbury was accused of "nimbyism" by senior Conservative minister and ex-Defra Secretary Liz Truss after he told Parliament how fracking will affect the farmer during Prime Minister's Questions. Ms Davies alleged she had discovered them on her land and asked them to leave, but that INEOS still posted documents to her promising financial recompense if any shale gas was found. The Prime Minister hit back saying shale gas was "a very important part of ensuring energy security". INEOS Shale themselves Tweeted: “If Mike Amesbury wants to stand up in support of his constituents he might think about the thousands of people that work in manufacturing or live with central heating that depend on a secure supply of gas”. The controversial practice has been banned in countries including Scotland, the Republic of Ireland, France and Germany. 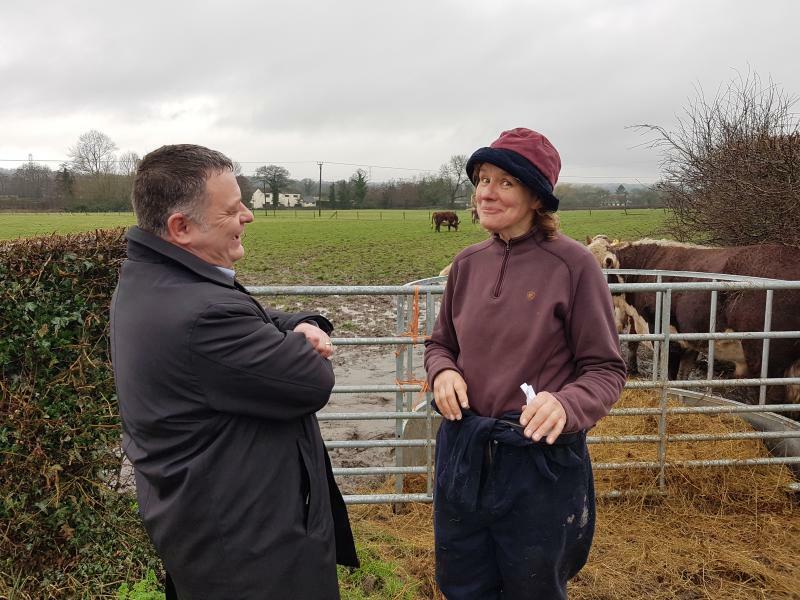 Mr Ambesbury, who has been campaigning against fracking since he was elected last year, recently visited Ms Davies at her farm to see first-hand the land that INEOS had their eye on. Mr Ambesbury said: “Alison isn’t the first farmer in this area to make allegations of this sort of practice to me.